There are several reasons why you use email marketing. Firstly, email is the best digital marketing channel in terms of ROI. Secondly, you send emails to someone who already showed some interest in your product and left you their email address to receive more information. And finally, in many instances it is better and more effective to try to convert more people that are already in contact with you than raise the traffic. But, of course, you want more and you want your email marketing perform at its best. A/B testing can help you with that as it is an ultimate tool to learn preferences of your own subscription base first hand. A/B testing is an experiment where you test a hypothesis on your users’ preferences with two variants A and B. These variants are control (usually, the variant you used before) and variation (a new variant usually containing one changed element). The goal of A/B testing is to identify which variant performs better. In case of email marketing the usual measure of performance is open and click-through rates, as well as conversions. For instance, the simplified version A/B testing can look like this. You have a weekly newsletter and you usually use the subject line “Summary of the week”. You want to check what will happen if you change the subject line (the body of the letter remains the same). Thus you randomly divide your subscription list in half and send one of the letters to one half and the other letter to the second half. Then you measure the results. However, in reality to get statistically significant results you have to consider some factors like sample size, timing, segment inside you email list, the number of changes you make in variation, the number of test you run etc. 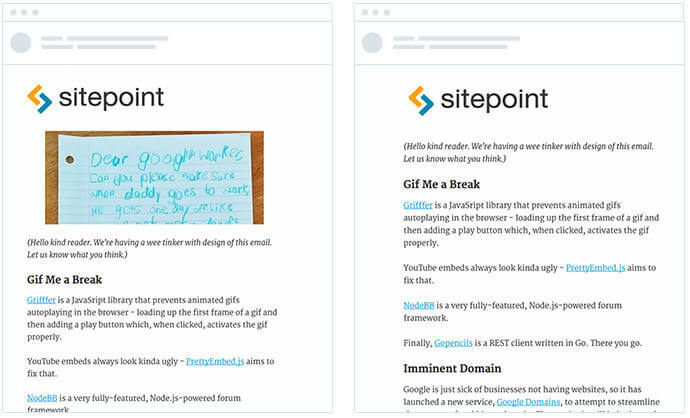 What can you A/B test in emails? 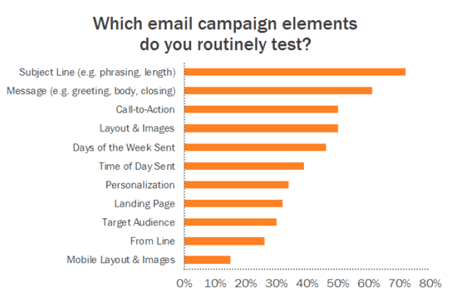 What to test depends on success of your current email campaigns. If you have high open rate, but very low click through rate you could experiment with email content: calls to action, images, or offers. And when you have low open rate, try to test subject line. Why should you use email A/B testing? You studied your target audience; you know how it looks like. You even created personas and segmented your mail list based on this information. You approximately know what pains, fears, uncertainties and doubts they have, but you are still not really sure. In other words, you have a hypothesis, but you don’t know if it is true. A/B testing allows you to confirm or discard your hypothesis. Probably, you have read a lot of articles on best practices in email marketing and tried to apply them to your case. But these best practices are not a sure thing. You can try them, but they might not work. 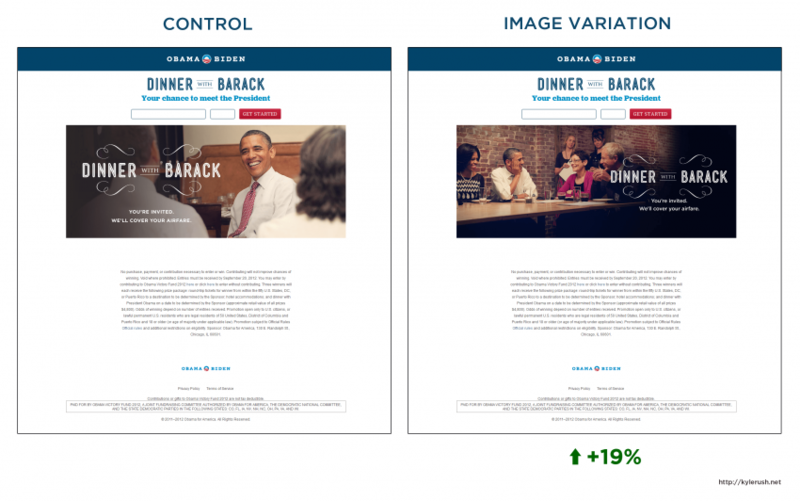 A/B testing helps you to figure out what works the best for your audience: images on the right or on the left, simple minimalist design or HTML-heavy look, red or green color etc. Often things in marketing are based on your gut feeling or experience. A/B testing is a scientific way to prove that your gut feeling is right. So, your marketing efforts stop being a guessing game and are backed up by real data. Properly created tests bring you really valuable data that no market research gives you, because it is data on your own customers rather than on abstract market. The ultimate goal of your marketing efforts is conversions. The type of conversion depends on the type of your website. For instance, for ecommerce it is a purchase while for blog it is a subscription. As was mentioned before, email A/B testing is a great tool to understand your audience and give them what they want. A/B testing is not one-time practice; it should be done continuously over a period of time to bring you brilliant results. Regular email testing keeps you ahead of your competitors, because you constantly measure how the tastes of your audience change. Email automation made email marketing dirt cheap. Most ESPs offer A/B testing as a part of their package deal, so it doesn’t cost you extra money. And modern user-friendly interfaces have made it really easy to set up your first test. There are several good reasons to make email marketing one of your digital marketing channels. You can make email marketing even better by constantly using A/B testing of your email campaigns.